Miss Lifesaver: Don't Yell At Me! I know. It's true. But I have a good excuse this time. I was busy house hunting and moving. Yes, Joel and I moved into a new place, and we've been super busy for the past week and a half trying to turn this house into a home. As it turns out, when you've kept your entire life in storage for a year and a half, you have to clean EVERYTHING before bringing it inside... unless, of course, you don't mind your house being full of filth. But I mind. I mind very much. I think the finishing touches will be done by this weekend, and then I can share some pics. It's been a long, exhausting (but in a good way) process to get here. I hate, hate, hate packing, but I find SO MUCH JOY in organizing my things and finding them their just-right home. I had to get a little creative this time around because Joel's sister and our almost 16-month old niece are going to be living with us starting next month. And we don't exactly have baby-proof things. Keeping things out of reach for her has been a fun challenge this time around. They came over last night, and so far, I think my organization will work nicely. 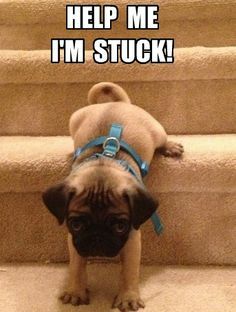 But we definitely need to get a baby gate for the stairs! Last night's game was "Let's crawl up and down the stairs 100 times so Auntie Erin will be exhausted when I go home." FUN! For those looking for my February Meme Calendar, I PROMISE it's coming. I'm working on it today! I'm SO HAPPY that I've been getting such great feedback from users. It's wonderful that your students are loving it as much as mine! Congratulations on the house! I know the whole moving/packing/cleaning thing is so much work but I can't wait to see the end result! And a baby will definitely be an adjustment...I think I would just lay on the floor and see what they see cause I have so much baby knowledge and all. Yay on the house! I bet you're feeling so good that it's all coming togehter. So funny - I was reading and was thinking, "Do I follow her on Facebook? Let me go look!" and then I realized that's how I ended up on your blog post! hahhaaa! Welcome back and congrats on the house! I know how you feel. I had to take a break last year when we bought a new house, renovated the kitchen, and I got a job in a new district! Must feel good to be finally be back!